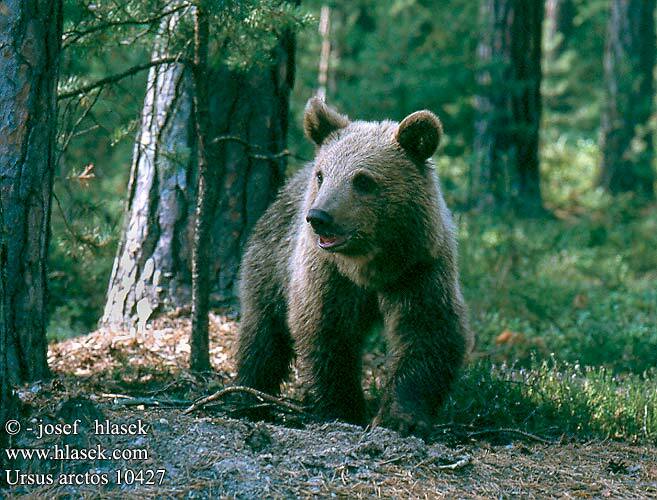 The Kamchatkan Brown Bear ( Ursus arctos ) is a species of bear that can reach masses of 130700 kg (3001500 pounds ). 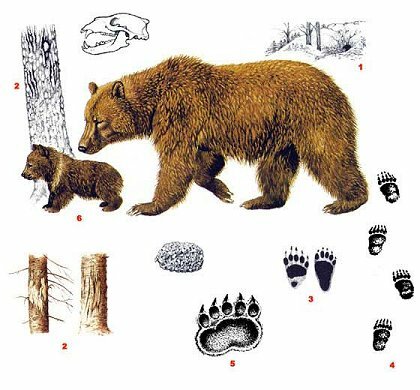 of the Brown Bear. It is sometimes referred to poetically as the bruin. the long outer guard hairs are often tipped with white or silver, giving a "grizzled" appearance. 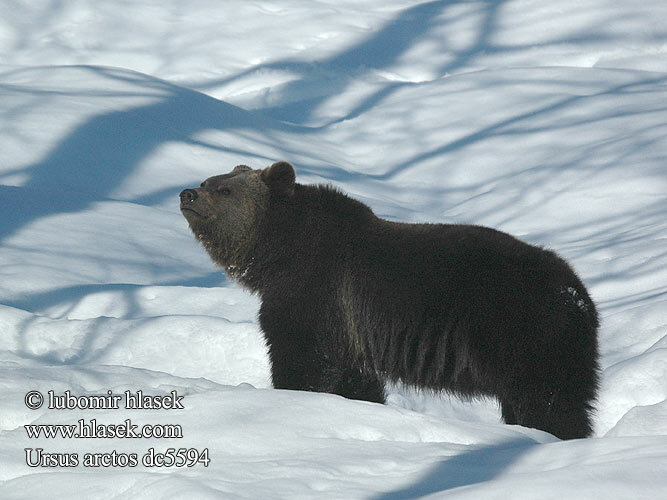 Brown bears have a large hump of muscle over their shoulders, giving strength to the forelimbs for digging. 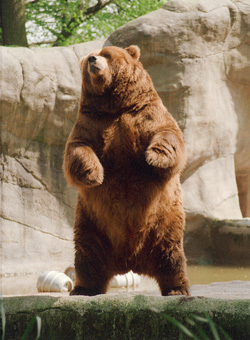 Their forearms end in massive paws tipped with extremely powerful claws that can be up to 15 cm (5.9 inches ) in length. Unlike the claws of other large predatory animals, such as lions or tigers, the claws are not retractable. This gives the claws a dull edge when compared to other predators. Despite the relatively dull edges to their claws, the sheer force of a blow from a large specimen is devastating. However, these claws are mainly used for digging, not for hunting. It uses its sharp canine teeth for neck-biting its prey when hunting. 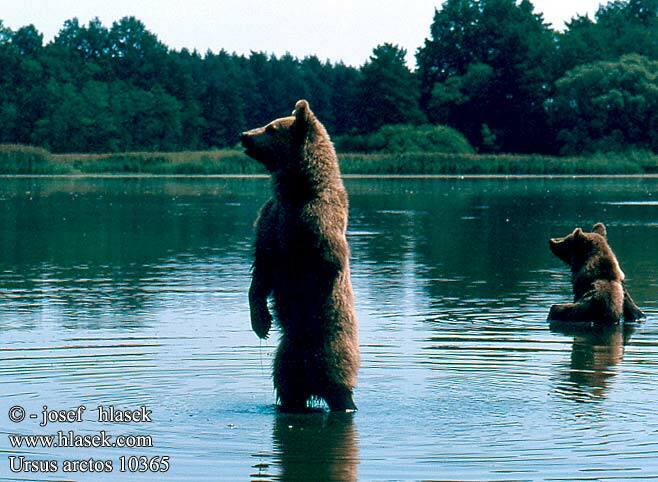 Bears use the same technique as tigers when hunting: they ambush their prey. Their heads are large and round with a concave facial profile. In spite of their size, some have been clocked at speeds in excess of 56 km/h (35 mph). 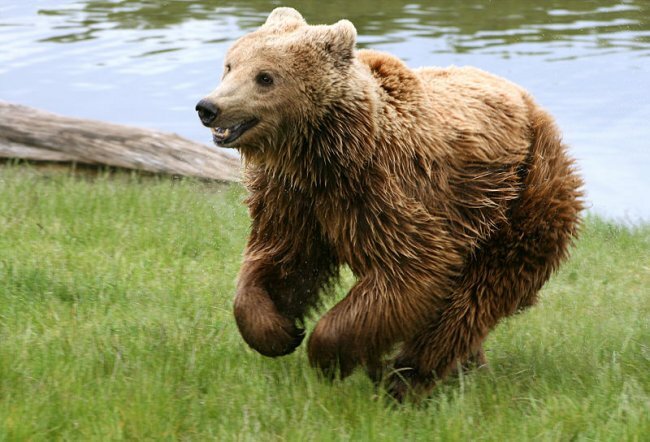 Along with their strength and deceptive speed, Brown Bears are legendary for their physical stamina. They are capable of running at full speed for miles at a time without stopping. on which it relies to make it through winter, when it becomes very lethargic. crevice, or hollow log during the winter months. and fish , insects , and small mammals . they derive up to three-quarters of their dietary food energy from vegetable matter. 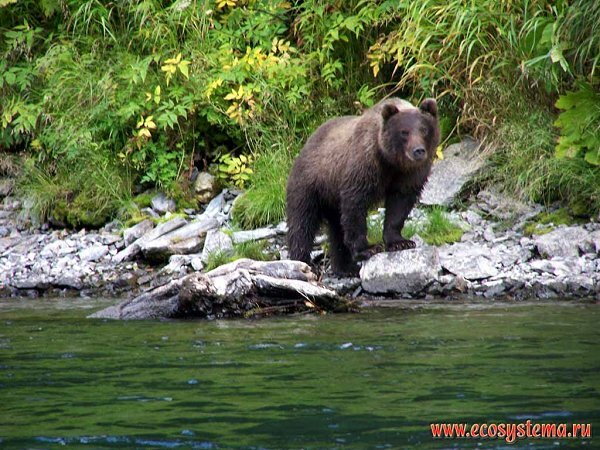 Normally a solitary animal, the Brown Bear congregates alongside streams and rivers during the salmon spawn in the fall. Another source says from only 300 gr to 600 gr. 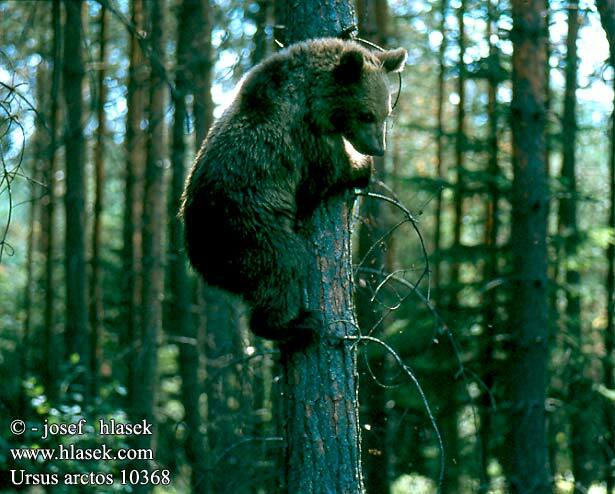 But that won't last long..
Raised entirely by their mother, the cubs are taught to climb trees at the sign of danger.